I've been an automotive technician since 1996. I own and operate my own shop and am a master technician across all makes and models of vehicles. I enjoy troubleshooting and diagnosing problems and welcome the opportunity to work on your car - no problem is too big or too small! William was prompt—early, even—polite, thorough, reassuring, and extremely professional. While I waited for my battery to be fixed, I benefitted from a brief but comprehensive lesson about the mechanical engineering forces at work in my car, what was and was not happening before and after my old battery was replaced, and told what to watch for/keep an eye on before driving home for winter break. I really appreciate how quick but detail oriented his work appeared to be; time and deadlines carry a special connotation of stress for me as a college student. I feel that I may be unable to appropriately convey much gratitude for the outstanding degree and quality of service I received on my car from William. Please share my feedback with him and promote/give him as much business as he can comfortably do, because this is precisely the type of employee I would imagine an employer of car repairmen/mechanics/technicians would seek in the hiring process. I fully intend to rehire your company, preferably having William work on my car, for my future automotive needs. Thank you. Very informative, honest and highly knowable. William was friendly and very knowledgeable. He answered all my questions and got the job done in a timely manner. He was very honest about what did and did not need to be done for my car. I highly recommend him. Very professional will use William again and refer him to family and friends.. Very professional. On time. Knows what he is talking about and doing. Honest and friendly. Highly recommended! Rough situation but completely solved the issue with our car mailing noises. I found William to be very friendly and has a lot of knowledge about cars. I feel I am in very good hands with him working on my car. William was great. He showed up on time and completed the job in a timely manner, wonderful guy. William arrived early and did a detailed inspection of my car. Found the problem and gave me a quote. Very nice and professional. William was very professional. On time and ready to go. He kept my garage floor very clean. He is good with cars and replaced my radiator, valve cover gasket and oil pan gasket in a timely manner. William was very professional from start to finished! I was blown away with his performance and honesty! He is the real deal. I HIGHLY recommend him. EXCELLENT WORK! As of today, he is my mechanic! If you want to trust a mechanic, William is the man, and you will not regret! William is great he knew the engine like it was his. Did the work in a timely manner. I am very pleased. I will call again. Awesome. I can't say enough good things about William he was friendly and knowledgeable even found a few more issues I was unaware of he also took the time to answer all of my questions and even called me a day before he arrived to review the issues with me A++ for his customer service . Cons - Not Williams fault but I was quoted 3 different prices for my catalytic converter each one more greater than the other , all through your mechanic not William I would give this a 3 star rating if William was not my mechanic but he deserves this 5 star for his exceptional customer service skills I would Highly recommend William if your in need of a good honest mechanic Also side note he even arrived early Awesome Job William Keep it up!! Professional, experienced, friendly and courteous. A true master at his craft a God of cars what can I say he is truly an asset to yourmechanic.com all around great guy clean installed center support bearing/flex disk/and other things I wasn't aware of all to make sure thing run safely thank you very much William "I highly recommend this man" super satisfied costumer. William and yourmechanic.com you guys Rock!!! Fixed a few things I wasn't expecting. Going to have to have him come due more work on the near future. Awesome knowledge and customer service. I will request William from now on. William was very friendly and very knowledgeable. He arrived very early for the appointment. Had all the parts necessary and finished ahead of schedule. I was on the fence about using Your Mechanic but went with it. William put those fears to rest. Needless to say, I will definitely call him again in the future. When he says he's a master tech at cars, he means what he says!! My car wouldn't start and he found exactly what was wrong with it and got it done so quick, my husband and I are such satisfied customers and will most definitely refer friends and family and will be doing all mechanic work from directly him!! Thank you again William!!!!!!!!!!!!!!!! William is very conscientious and thorough with his work. He doesn't throw parts at your car, he diagnosis's your issue and if he finds it's something else causing you car problem, he informs you of it, it's cost and then gets the job done right. Well done William! We will see you again if/when necessary. 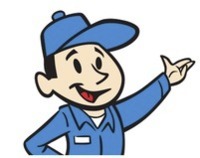 William is a great asset to YourMechanic.com!! Excellent service. William was on time and went the extra mile for us! Thank you so much William. I am very very happy to have my car back in service. Tried all the above, and just met my breaking point. Luckily I found MyMechanic online, and it turned out to be more than I expected. So once again thank you so much William for helping me out! :) Great Experience. Very professional.and knowledgeaable. All around good guy.